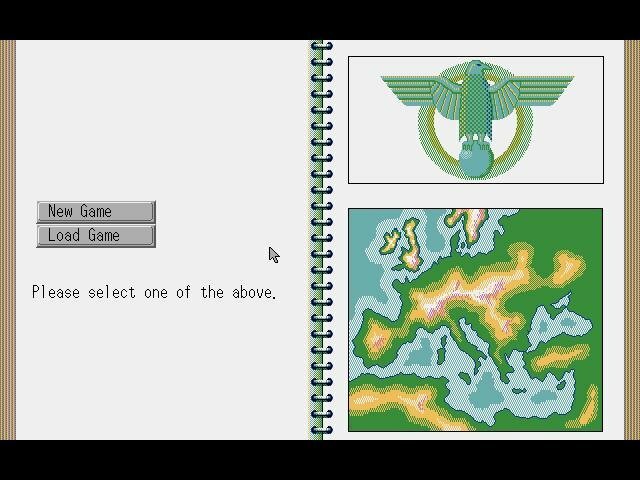 Operation Europe is the PC conversion of a game originally designed for the Sega Genesis. Japanese game designers have produced excellent, even classic, games based on Asian history, but with WWII they just can’t seem to get it right. 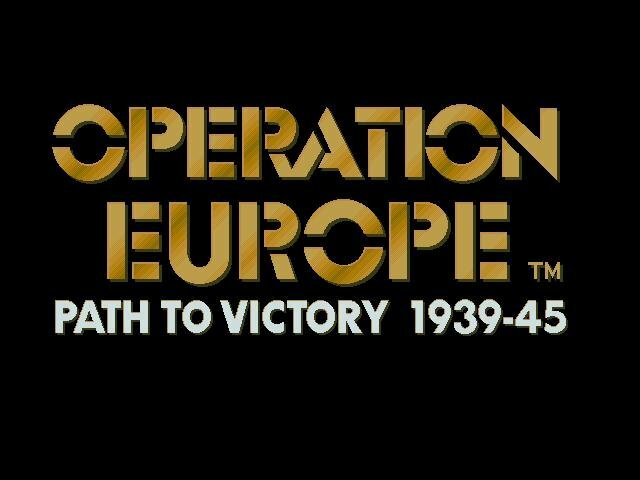 Case in point is Operation Europe. 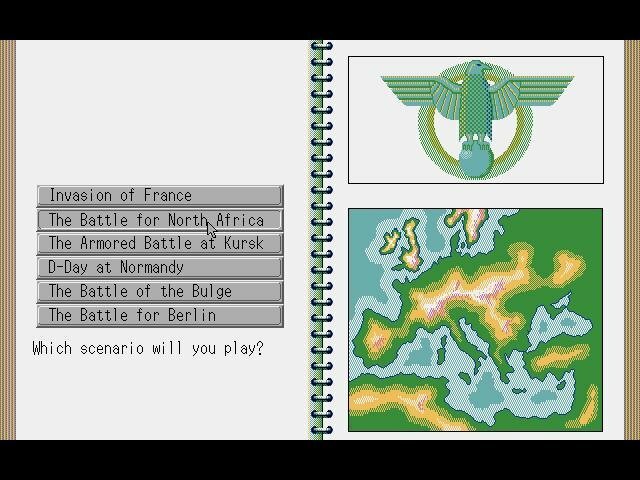 Using a modified and rather ponderous version of the traditional Koei interface, Operation Europe lets you refight six critical historical engagements: France, 1940; North Africa; Kursk; D-Day; the Bulge; and the Battle for Berlin. 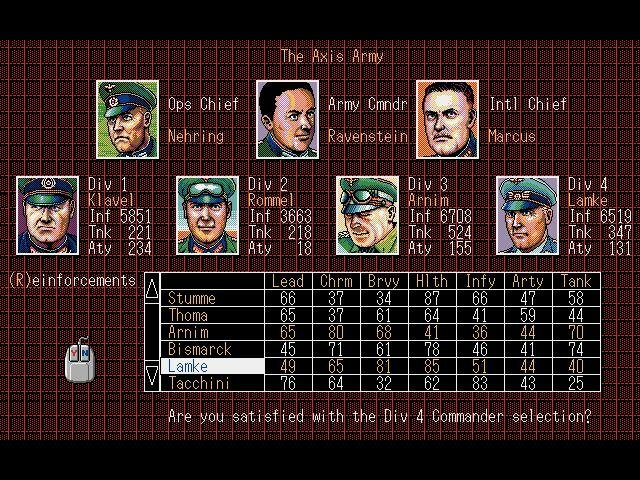 In either one or two-player mode, you select your commanders, move your units, and do battle. You can issue general orders for an entire division, or micro-manage down to the battalion level. 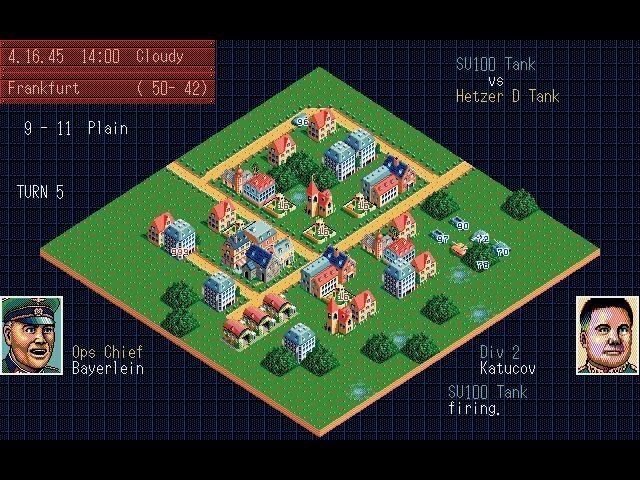 The game is made up of three layers – a strategic map, a more detailed tactical map, and finally, when meeting opposing units, an isometric battlefield. 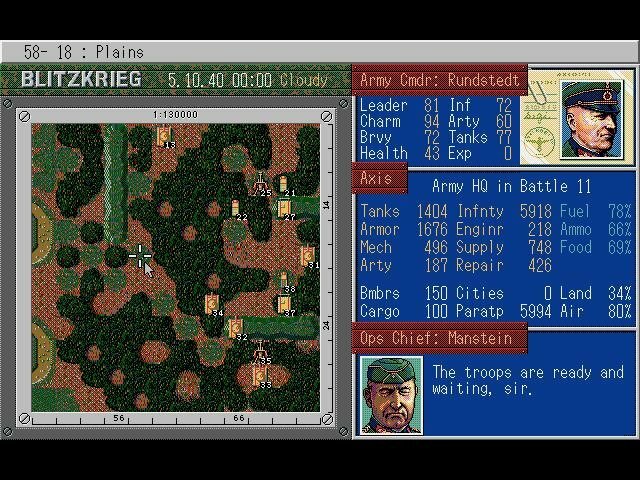 The battle scenes are surely the game’s strongest element, with realistic buildings and tanks, gun batteries, and masses of infantry blazing away amidst colorful explosions. You also have tactical control over units in combat, but I found that option to be so limited and at times so ludicrous that I invariably did as well or better by letting the computer take over command. For all their prettiness, the maps don’t quite “fit” with the combat system. The strategic map reduces unit icons to microbes, and the distance-scale on the tactical maps simply does not mesh with the time-scale that governs movement. 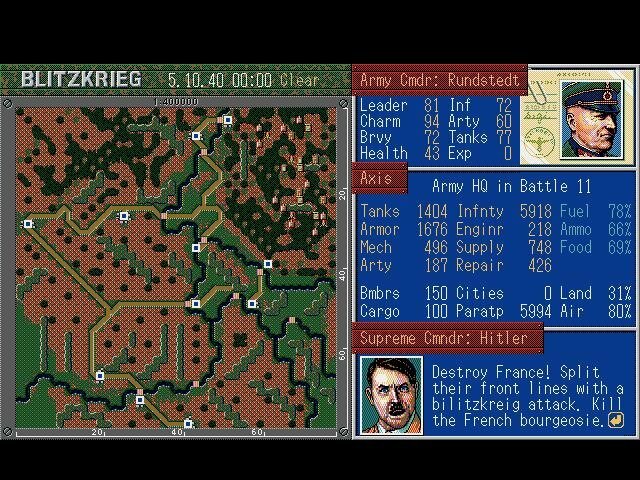 Nor does the combat system mesh with the battlefield maps. French 75s, for instance, are given a range of only one square — most of the time, they were annihilated by tank formations before they could fire more than one salvo. Why bother including artillery pieces that have only the same range as ordinary rifles? What does one do with such a unit in battle — lash bayonets to the barrels and roll them downhill at the enemy troops? In dozens of ways, large and small, Koei’s rules “reinvent the wheel” by dictating odd and arbitrary ways of dealing with standard wargame conventions. Sometimes, their ideas are good — the logistical functions in this game are simple, elegant, and realistic; other times, they’re maddening. 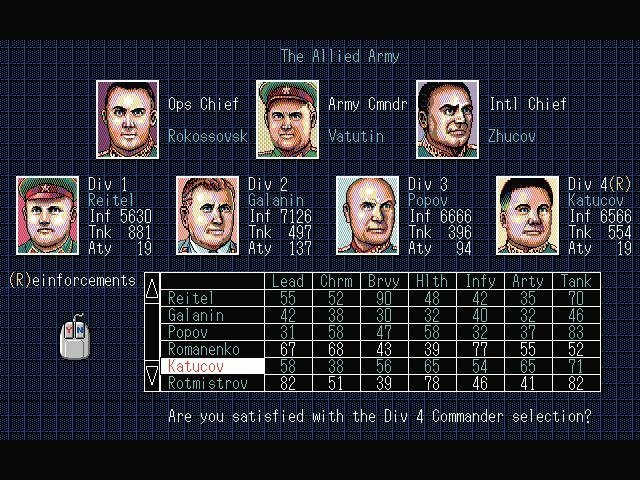 For instance, all scenarios are fought with four divisions to a side, no more and no less. And all battles are waged for ten time-units, and ten only. It’s War by timer. 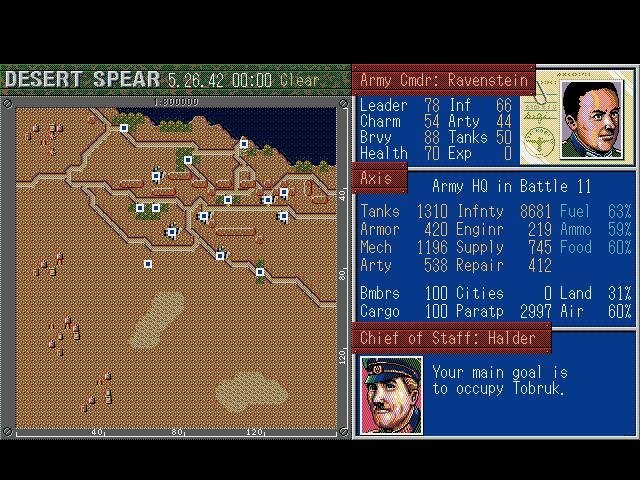 Then there’s the game’s arbitrary division of regiments into battle formations and assault formations. Logically, the assault units have more artillery and tanks, but the relative combat performances of the two kinds of troops doesn’t seem dramatically different. The engineer units can lay or remove mines and construct or blow up bridges, but they are not allowed to put mines on bridges. Why? 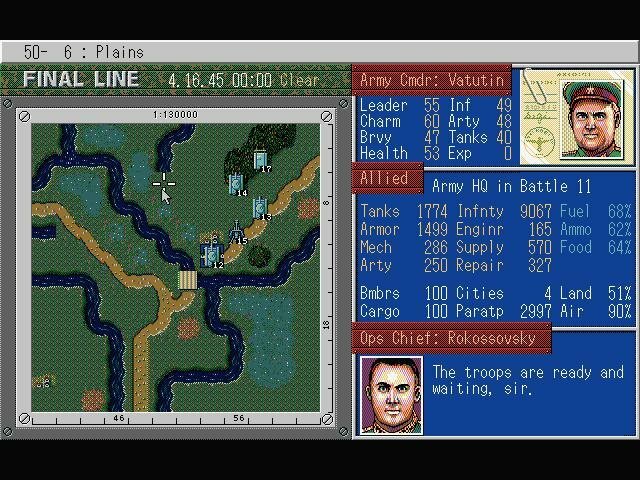 No clue is given in the manual, encompassing just one of many such odd idiosyncrasies present in this wargame.